Comments on "The New Skate Style....Shoe Tree"
I'm from the UK, and in my city we have one of these where all the skaters congregate. 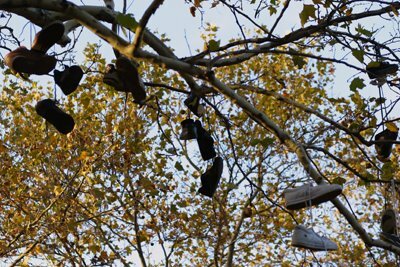 The story behind a shoetree is that after a skater lands a partially hard trick, he will throw his shoes up into the tree. i wanna see more cool stuff that you see find like this!